Pamphlet of Israel Communist Party calling for unity and brotherhood of the working class beyond borders of race, ethnicity, gender and nation. Source: 21centurymanifesto.wordpress.com. MAKI, abbreviation of HaMiflega HaKomunistit HaYisraelit (translated in English as Israeli Communist Party), is a political party in Israel. MAKI was founded as Rakah, abbreviation from Reshima Komunistit Hadasha (translated in English as New Communist List) in 1965 following internal dispute in preexisting original MAKI (see table 1.1 for the chronology of party name). The modern MAKI is part of the Hadash as political coalition, and HADASH is part of the Join List as national coalition to build-up political position in 2015 election. As a political party which operated within Israeli borders, the existence of MAKI was heavily influenced by the long-drawn conflict between Israel and Palestine. In the face of the conflict, MAKI often advocate peaceful coexistence between Jewish and Arab. As written on the party 24th congress communique, “In this country, the Communists were the only ones, who proposed a true Jewish-Arab politics to replace the paths of separate Jewish and Arab political roads. As with our forefathers, our struggle against nationalism continues. We still regard the essential division as not between Jews and Arabs, but between those who have an interest in the exploitation of social classes and those who want to change such policy.” MAKI’s activists actively engaged to various peaceful campaigns. In 2006, with its coalition HADASH, MAKI held a rally against Lebanon War. In 2011, MAKI also endorsed Palestine to be accepted as United Nations (UN) member, addressing that “Palestine being member of UN is the important contribution of peace.” The party also campaigning against controversial plan to ban Palestinian workers from riding the same bus lines as settlers in the Occupied Palestinian Territories (OPT) of the West Bank. But MAKI also condemn terrorist action committed by Palestinian against Jewish people. In November 2014 for example, Hadash release a statement condemning the attack that killed five Jewish worshippers with a meat cleaver, knives, and a pistol in a terror attack on a synagogue in the Har Nof neighborhood in west Jerusalem. MAKI through HADASH also encourages Israel to join the Nuclear Non-Proliferation Treaty. MAKI’s decision to advocate peaceful approaches, emphasizing Jewish-Arab cooperation, and fighting against apartheid politics by Israeli government come with uneasy consequences. Leftist often regarded as traitor of their own nation. In internet social media, haters often make vulgar comments against the position of MAKI and other leftist groups which advocate peace and anti-war. “Stinking leftists, you should be put in gas chambers, you are worse than the Arabs” is one of the hatred speeches against leftist in social media. Proposing peaceful approaches in the society with a lot of security issues, from Hamas’s suicide bombers to Hezbollah’s missiles, is not a favorable position. But despite this complicated position, MAKI maintained at least three seats in Knesset from election to election since it established as Rakah in 1965. 1923 Palestine Communist Party (PCP) Palestine Communist Party and Communist Party of Palestine merged and established PCP. 1943 PCP The party split. Arab members formed National Liberation League (NLL). 1947 Hamilagah Hakomunistit Haeretz Yisraelit (MAKEI) The party changed its name to MAKEI after endorsing partition, in line with official position of Soviet Union. 1949 HaMiflega HaKomunistit HaYisraelit (MAKI) Remove “Eretz” after Arab members merged NLL and rejoined the party. 1949 MAKI First Knesset election, receive only 3.5 percent votes. 1965 Reshima Komunistit Hadasha (RAKAH) Internal dispute between Jewish faction led by Moshe Sneh which recognized Israel rights to exist and Arab faction which increasingly anti-Zionist led to split. Led by Emile Habibi, Tawfik Toubi and Meir Vilner, the anti-Zionist faction left MAKI and formed Rakah. The new party got the status as the “official” communist party in Israel by Soviet Union. In the same year, Rakah won three seats in Knesset from the election. Meanwhile MAKI only got one seat. 1973 RAKAH The original MAKI had dissolved after merged into other political party, MOKED. 1977 RAKAH With other marginal leftist and Arab parties formed HaHazit HaDemokratit LeShalom uLeShivion (HADASH). Some members of Israeli Black Panthers also joined this political coalition. 1989 MAKI The party members decided to change the party name back to MAKI, reflected their status as the only communist party in Israel. 2015 MAKI Joined the Joint List to build up the position in election against the growing right-wing party, Likud. Join List joined by other Arab dominated parties such as United Arab List, Balad, Ta’al, and Islamic Movement. MAKI joined this national affiliation under the name HADASH. Join List gained 13 seats in Knesset, in which 5 seats belong to HADASH and 3 seats belong to MAKI. This article aims to answer two questions, why MAKI has making Israel-Palestine peace as their agenda? and what capacity MAKI can do in term of making peace in the region? In 1947, United Nation (UN) through United Nations Special Committee on Palestine (UNSCOP) proposed a partition to mitigate the growing violence among Arab and Jewish population in Palestine. PCP opposed the UNSCOP majority proposal recommending partition of Palestine and attacked American support for partition as “dismemberment” of the country. Vilner argued that “the problem of Palestine is not the Jewish-Arab antagonism … Colonial rule is the main source of the national antagonism existing in our country.” By mentioning “colonial rule”, Vilner addressed the expulsion of British administration in Palestine. The Arab dominated NLL also undoubtedly refuse the proposal. But the stance of both parties were drastically changed after Soviet UN delegate M. Semyon Tsarapakin announce his country’s reluctant support for partition as a bad solution but the only possible one. After accepting the partition, PCP changed the party name to MAKEI. Not only changed the party name in Hebrew, as a sign of willingness to embrace Zionist discourse, MAKEI also drawn in nationalism fervor. ”Long live the independent democratic Jewish state!” was among the party slogans. Emphasizing the loyalty to Marxism-Leninism principles, MAKEI proclaimed itself as the “pioneer of the struggle for national and social liberation in light of the principles of Marxism-Leninism.” The Arab dominated NLL also drastically changed their rejection to partition after Tsarapkin announced Soviet support on partition. Through official bulletin Al-Ittihad, NLL announced “notwithstanding our friendship with USSR, we do not tie ourselves to its policy, but formulate our own from existing local conditions and the aims of our people.” But the change of stance in NLL not occurred as smooth as in PCP to MAKEI. The NLL secretariat was split because Emile Tuma was remain against the partition despite his organization official stance. MAKEI and NLL remains separated but cooperating in some occasions. In late September 1949, NLL Central Committee adopted a comprehensive of its historic path as a prelude to announcing its willingness to reunite with MAKI. The NLL leadership accepted responsibility for the 1943 split in PCP by announcing recognized the danger of organizing the communist movement on a national basis. The mononational character, they claimed, had prevented the NLL from correctly understanding the emergence of new reality in the country: the formation of a Jewish nation in Palestine. The NLL Central Committee then called on all its members within the borders of the state of Israel to join MAKI. In the late October 1949, MAKI responded NLL self-criticism by accepting NLL proposal for reunite. MAKI Central Committee implemented this respond by accepting all branches and members of NLL inside the state of Israel into the ranks of MAKI. The reunion of MAKI and NLL marked the completion of the shifting outlook of Palestinian communist from refusing partition to endorsing partition. The agreement of both Arab and Jewish to the creation of two binational parties in two states that were to have been established according to the terms of UNSCOP partition was among the first matter that was emphasized after the merge. According to Joel Beinin, Professor of Middle East History at Stanford University, the communists only justified partition in terms of support for the stand of the Soviet Union, the leader of the world forces of progress. The influence of Moscow remains strong at least for two decades after the reunion of MAKI and NLL. MAKIS’s reluctance to adopt polycentrism approach advocated by Italian Communist Party leader Palmiro Togliatti for example, was because Mikunis and other Political Committee regard Togliatti’s line as too anti-Soviet. Another example is the expulsion of Hanokh Bzozah on April 1956, right after MIkunis returned from The Twentieth Congress of The Communist Party of Soviet Union in Moscow. On The Twentieth Congress, Nikita Khrushchev revealed Stalin’s crimes and errors, including Stalin’s national communism approach. Bzozah, who was always fervently criticize any kind of anti-Semitism in Soviet Union and other East European communist regimes, expelled for Jewish national deviation. The communist party always had difficulties to manage the binational character. Since it the PCP to MAKI era, there were always quarrels between Jewish and Arab faction. This contestation finally led to party split in 1965. The factions within communist parties of other countries usually divided the flexible and the orthodox. But in MAKI, the division was based on ethnic. Sometimes Jewish faction was more orthodox and Arab faction was more flexible, but in some other times Arab faction was more orthodox and Jewish faction was more flexible. Interestingly, the issues were mostly not about orthodoxy, but about the difference of militancy level in terms of fighting against Israel’s apartheid politics. Despite officially opposed to Zionism, each faction had different attitude towards such idea. Arab faction always more militant and fervently anti-Zionist compared to their Jewish comrades. Kafr Qasim massacre showed that the Arabs in MAKI always more militant when dealing with apartheid politics. On October 1956, Israel military announced that a curfew would go into effect at 5.00 pm. Palestinian Arab workers who spent their daytime for working returned home just as the curfew that they did not know about was going into effect. IDF shot dead 49 of these workers and wounded 13 other. Two other Palestinian Arabs were shot dead for violating the curfew in other villages. On November Arab MAKI member of Knesset (MK) Tawfiq Tubi visited Kafr Qasim to investigate the massacre. Three days after visit he published a report, called support from all sector of Israel society and asked that the perpetrators be prosecuted. Eventually the military officers responsible for Kafr Qasim massacre received a symbolic minimal punishment. Kafr Qasim then became an important issue for MAKI that could mobilize Arab community in Israel and expand the party influence to the villages. But the adoption of Arab-centered orientation when the rest of Israeli society indulged in a festival of triumphalist nationalism increasingly isolated MAKI from Jewish public. Jewish party members also suffered intense pressures from their own community. Meanwhile, their Arab comrades went even bolder. Arab party leaders and members did not sing the national anthem “Hatikvah” during the opening ceremony of congress. Arab faction speakers also prefers to use Arabic name for places rather than in Hebrew, for example referred the “Gulf of Aqabah” rather than “Gulf of Eilat.” The growing tensions between MAKI and the Israeli government finally burst into violent confrontation on 1958 May Day celebration in Nazareth. After MAKI’s request for permit to conduct a march rejected military governor, local party leaders decided to demonstrate without permit. As the aftermath, Police arrested 129 Arabs in Nazareth. Over 300 Arabs arrested all over Israel before, during, and after May Day. MAKI Arab leaders such as Emile Habibi, Saliba Khamis, and Tawfiq Tubi were among 300 Arabs who were arrested. Pragmatically, the Arab-centered orientation and growing anti-Zionist sentiment among Arab members potentially causing MAKI electorally marginalized. To mitigate further marginalization, MAKI tried to adopt a more popular Israeli style during preparation of 1961 election campaign. Such unorthodox approach was possible because of the discipline relaxation in the international communist movement following the Twentieth Congress of the Soviet Communist Party in 1956 and the Moscow conferences of communist parties in 1960. MAKI finally embraced Togliatti’s polycentrism after hesitating for long time because it was regarded as too anti-Soviet. The party’s agenda to move into Israeli cultural mainstream delegated to Brit Hanoar Hakomunistit Hayisraelit (BANKI, translated to English as The Young Communist League of Israel). BANKI adopted many of the practices of other Israeli youth movements, which, with their emphasis on pioneering, rural settlement, and armed defense, were part of the institutional structure of labor Zionism and expressed it ethos. BANKI also published a Hebrew songbook containing may songs sung in the labor Zionist youth movements as well as songs for several Jewish holiday. The BANKI songbook included no Arabic songs while there were several Russian songs. From this point, Jewish faction move towards Jewish national communism and Arab faction increasingly stirs anti-Zionist sentiment. While Jewish faction endorsing Israel road to socialism, they could not deny that MAKI’s influence among Jewish working class was declining to abysmal level. On the other side, anti-Zionist attitude of Arab faction was emboldened by the significantly increasing support of Arab community for the party. As table 4.1 indicates, the number of party membership in mainly Jewish districts (Tel Aviv-Yafo, Haifa, Jerusalem, Shfelah, South) declined slightly, while membership in entirely Arab districts (Nazareth and Triangle) nearly doubled. This shifting of social base was among the important factor of party split. On 1965, Arab party leaders Habibi and Tubi left MAKI and form a new party, RAKAH. The exodus followed by several Jewish party leaders such as Meir Vilner. In the meantime, Jewish faction leader Mikunis and Moshe Sneh remain at MAKI. According to Middle East historian Joel Beinin, the split best understood as an expression of different understanding of the shifting social base rather than the result of opportunism or national deviation of one or another faction. After established RAKAH, the party members denounced Zionism as a nationalistic middle-class movement serving imperialist interests, and the Six Day War as an act of Israeli aggression. RAKAH ran independently for the Sixth to Eighth Knesset. In the Ninth to Twelfth Knesset it ran within the framework of the HADASH list. RAKAH continued to gather strength from Arab community. The party obtained 37 percent of Arabs’ voices in 1973 and nearly 50 percent in 1977. RAKAH greatest coup was winning the mayoralty of Nazareth, Israel’s largest Arab community, in 1973. It is because RAKAH took the bolder stance in terms of advocating Palestinian Arab’s issue outside and inside the country meanwhile still recognizing Israel’s right to exist and opposing PLO’s use of terrorism. As the table 5.1 indicates, RAKAH proposes the most accommodative demands for Palestinian Arabs compared to other parties. It advocates total withdrawal from the occupied territories including East Jerusalem and proposes a Palestinian state on the West Bank and Gaza Strip. It also insists on the Palestinian Arab refugees’ right of return to pre-1967 Israel. Such demands that even the left-wing SHELI could not propose. The only group that had more Arab-centered orientation is Abnaa El-Balad. But Abnaa El-Balad was a small and exclusively Arab group outside the circle of political acceptability because its rejection for Israel right to exist. After the 1965 split, Moscow still maintained the associations with both MAKI and RAKAH. In 1967, the Six-Day war broke out and Soviet Union took sides with the Arabs. MAKI leader Sneh rejecting the Soviet interpretation of the war and said that Soviet support for Arab aggression was a “tactical blunder.” From that point, Sneh and his party shifted towards left Zionism. MAKI then suffer further split after Sneh’s death in 1972. The party disappeared with one faction absorbed into MOKED in 1973. Now, there is no political group in Israel that continues the Mikunis-Sneh’s Israeli road to socialism. Meanwhile, RAKAH got more recognition from other political groups. The party expands the affiliation and formed HADASH coalition with other marginalized leftist groups and Israeli Black Panthers in 1977. RAKAH also recognized by Soviet as the “official” communist party in Israel. This recognition signified by the presence of three Soviet Communist Party officials in RAKAH congress in 1976. In 1989, RAKAH party members decided to change the party name back to MAKI, reflected their status as the only communist party in Israel. In the last 2015 election, MAKI unified in national coalition JOIN LIST to build up the position the dominant right-wing LIKUD. Join List joined by other Arab dominated parties such as United Arab List, Balad, Ta’al, and Islamic Movement. MAKI joined this national affiliation under the name HADASH. Join List gained 13 seats in Knesset, in which 5 seats belong to HADASH and 3 seats belong to MAKI. On June-August 2014, Israel began military operation in Gaza Strip. Israeli Defense Force (IDF) bombarded the city with artillery and airstrike, targeted to infrastructures built by HAMAS militants, especially tunnels. IDF also deployed ground invasion after bombardment. As the aftermath, over 2.000 Palestinian killed and over 10.000 wounded. Most of the victims are civilians. Amid such unfavorable circumstance, MAKI with HADASH coalition held a rally against Gaza bombing on 26 July 2014. The rally was participated by 7000 Jewish and Arab Israel citizens, protested the war in Gaza under the banner: “No more deaths – Israeli-Palestinian peace, now.” The protest took place at Rabin Square in central Tel Aviv. Slogans chanted by the protesters included “Stop the war,” “Bring the soldiers back home” and “Jews and Arabs refuse to be enemies.” Police arrested 13 of the rally participants. Left-wing Zionist party MERETZ as well as the Peace Now organization had opted not to take part in the rally. The Gaza rally was not the only case of MAKI took the front line of anti-war struggle when other progressive groups reluctant to do so. MAKI affiliated student organization took the front line of anti-war and anti-discrimination issues in several occasion, and sometimes they even have to deal with the police or right wing groups. When stuck on the marginalized position in Knesset, MAKI’s MK and Political Committee took direct actions in the streets. In August 2004 for example, MAKI leaders took part in a one-day hunger strike, in solidarity with Palestinian prisoners, at a protest tent near Umm el-Fahm. Among those who took part in the protest hunger strike in Umm el-Fahm were MK Muhammad Barakei and MK Issam Mahoul, as well as Nazareth Mayor Ramez Jeraise, and Shawki Khatib. They were joined by Jewish peace activists as well as council leaders from towns and villages in the area including, according to reports, Umm el-Fahm Mayor Sheikh Hassan Abdel Rahman. Peace advocating is not an easy agenda on certain situations, and the situation where MAKI become part of is among the uneasy situation for peace agendas. Thus, the agenda of peace advocating by MAKI is not an agenda that proposed within a night. It is an agenda that constituted by the historical-dialectic process within the party. Peace advocating agendas were also not simply the practice of Marxist theory. Some values of Marxist teachings indeed enforce the peace advocating agenda by the party, but it was dimensions such as agency, constituent, and party tradition that strongly constituted MAKI’s attitude toward peace agendas. Each dimension will be discussed as follow. First, the party’s agency. Since the party still under the name PCP, the party was always strongly influenced by Soviet Union. The deep attachment of MAKI’s Eastern European Jewish veterans to the Soviet Union partly explains the party’s exceptionally dependence on Soviet’s dogmatic political line. At some extent, the influence of Soviet Union affected MAKI positively. The orthodoxy imposed by Soviet line could unify the Jewish and Arab faction in the party. But the Soviet influence also made the party unable to make independent approaches to their own regional problem. The shifting outlook from endorsing binational state to endorsing partition is one of the vivid examples. Both PCP-MAKEI and NLL were changed their outlook to endorsing partition, and there was no justification except following Soviet’s foreign policy. After the partition successful and Israel states created in 1948, communist party under the name MAKEI fell into patriotic fervor in a way it also support the war. For example, Mikunis as leader of MAKEI demanded government refuse to accept a UN proposal for a temporary cease-fire “because relenting in the military struggle against Abdallah (Transjordan’s King) and other pawns of imperialism who had attacked Israel would benefit only imperialist powers. MAKEI Central Committee member Eliyahu Gojansky even travel to Eastern Europe to seek military aid. Jewish communist members only toned down their patriotic fervor after Arab members were merged NLL and reunited to the party. It is also the Arab members who fervently criticized discrimination and violence against Arab community inside or outside the Israel. It is the binational character of the party that keep the communist not one-sidedly aware to the violence committed by the Jewish, but also aware to the violence committed by Arabs. After the split in 1965, MAKI became exclusively Jewish meanwhile RAKAH also joined by several Jewish party leaders such as Meir Vilner. That is why RAKAH was more actively engaged to peace advocating agendas and got recognition from other progressive groups. After the fall of Soviet Union, Israeli communist party have largely toned down their Marxist ideology, yet they have been successful in representing a moderate voice for peace despite the polarization that has turned Israel’s Arab citizens to become much more supportive of Palestinian nationalism as a result of the continuation of Israel’s occupation. Second, the party’s constituent. Since the very beginning, the communist party regards conflicts within Israeli society as class-based rather than nationalistic in nature. From such a perspective, MAKI always relied to the support from the working-class Israelis, whether they are Jewish or Arabs. But the reality in Israel showed that the workers don’t simply share the same interests, especially when they are belong to different ethnicity. As Lenin argued, imperialism has created a two-tier structure within the world economy with a dominant core exploiting a less developed periphery. This structure complicates the Marx’s simple division of interest between working class and capitalist. After monopoly capitalism developed, there was no longer automatic harmony of interest between all workers around the world. The capitalists in the core countries could use profits derived from exploiting the periphery to improve the lot of their own proletariat. In other word, the capitalists of the core pacify their own workers through the further exploitation of the periphery. In the Israeli society, Jewish workers are advantaged by the Jewish state policy. Meanwhile Arab workers have to face violence and discrimination in daily basis. The Arab workers will find Zionism problematic, while Jewish workers may support it. As the disadvantaged group, Arab workers became more radical and anti-Zionist. Experienced discrimination and violence within Israel society, Arab workers also develop an anti-war and anti-violence interest. RAKAH grew and got recognized under this circumstance. Third, the party’s tradition. Even if Marxist theoretical has limitation to explain the complexity of Israel-Palestine conflict, one of the values based on Marxist teaching was affect MAKI’s attitude toward peace agenda very positively: the internationalist approach. The modern MAKI successfully maintained the internationalist approach by keep the tradition of binational character of the party. Although have major electorate from Arab communities, RAKAH often delegated Jewish MK as representatives. When RAKAH reclaimed the MAKI name, the party continued to demonstrate its commitment to internationalist approach by assigning to Jews at least two of the Knesset seats the party had won in elections—far more than would be justified by the number of Jewish voters for MAKI. As the electoral threshold increased, MAKI and HADASH coalition have to form a bigger national affiliation: Join List. MAKI, the only Jewish-Arab party, became the leading party in a national affiliation that mostly joined by Arab parties. A great deal of attention also paid to Join List because it became the umbrella of communist, islamist, and nationalist. Director of Mossawa Center Jaffar Farrah argued, bringing together such vastly divergent parties “will challenge the debate in Israel and will encourage democracy in the Palestinian community.” By successfully bring the Jewish-Arab party to Arab dominated national affiliation, MAKI had put the important perspective of peacemaking: that Arabs in Israel can’t reinvigorate the peace in the region by themselves and that Jewish Israelis can’t do it by themselves either. MAKI, 24th Congress, The Change We Desire, <http://maki.org.il/en/?page_id=15>, accessed on 23 May 2015. Alternative Information Center, Demonstration Against the War Tel Aviv 5 August 2006, <http://mrzine.monthlyreview.org/2006/aic070806.html>, accessed on 23 May 2015. MAKI, Palestine Being a UN Member – Important Contribution For Peace, <http://maki.org.il/en/?p=255>, accessed on 23 May 2015. MAKI, Between Colonialism and Apartheid: Plan to Ban Palestinians from Israeli Buses in OPT, <http://maki.org.il/en/?p=4522>, accessed on 23 May 2015. MAKI, Hadash Strongly Condemns Tuesday Attack on Jerusalem Synagogue, <http://maki.org.il/en/?p=3111>, accessed on 23 May 2015. Jewish Virtual Library, Israel Political Parties:Hadash, <http://www.jewishvirtuallibrary.org/jsource/Politics/Hadash.html>, accessed on 23 May 2015. MAKI, Peace Now Highlights “Epidemic” of Fascist Incitement in Israel, <http://maki.org.il/en/?p=3078>, accessed on 23 May 2015. Daoud Kuttab, Nazareth election beginning of end for Israel’s Communist Party, <http://www.al-monitor.com/pulse/originals/2014/03/israel-communist-elections-nazareth-palestinian-arab.html#>, , accessed on 23 May 2015. 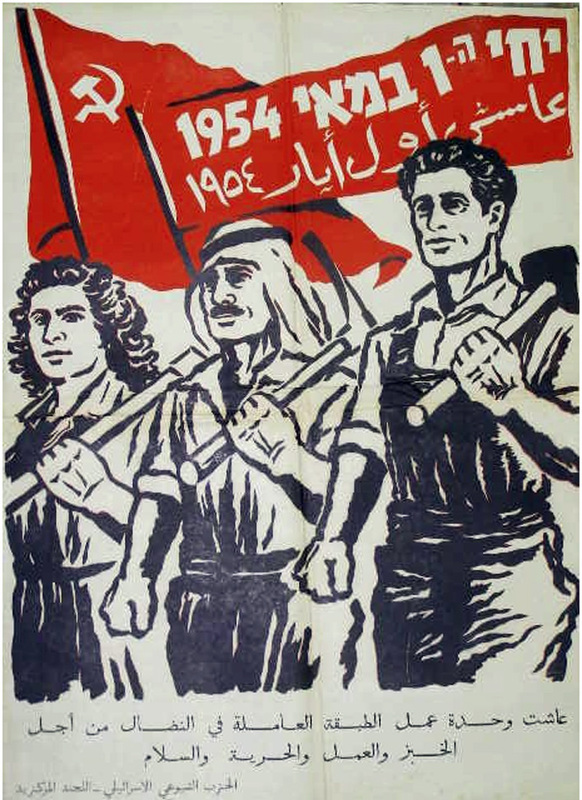 The Communist Party of Palestine, We Fight for Freedom, Evidence Given to UNSCOP, Jerusalem, July 13&15 1947. In Ibid. Alittihad, 19 October 1948. In Ibid. Joel Beinin, Ibid. p. 231. Party Censuses, Kibbutz Me’uhad archive. Ibid. p. 241. Don Peretz, Ibid. p. 102. Jewish Global Source, 3 Soviet Communist Party Officials in Israel to Attend Rakah Confab, <http://www.jta.org/1976/12/16/archive/3-soviet-communist-party-officials-in-israel-to-attend-rakah-confab>, accessed on 26 May 2015. Michael Jansen, Dissonance in Zion, Zed Books, London, 1987. p. 132-135. The New York Times, Israelis Watch Bombs Drop on Gaza From Front-Row Seats, <http://www.nytimes.com/2014/07/15/world/middleeast/israelis-watch-bombs-drop-on-gaza-from-front-row-seats.html?_r=0>, accessed on 26 May 2015. Solidnet, CP of Israel, Thousands of Israelis protest the Gaza war in Tel-Aviv, <http://www.solidnet.org/israel-communist-party-of-israel/cp-of-israel-thousands-of-israelis-protest-the-gaza-war-in-tel-aviv-en>, accessed on 26 May 2015. Communist Party of Britain, Israeli Communists rage against slaughter in Gaza, <http://www.communist-party.org.uk/international/news-a-statements/1974-israeli-communists-rage-against-slaughter-in-gaza.html>, accessed on 26 May 2015. Electronic Intifada, Palestinians in Israel beaten, arrested for Gaza support, http://electronicintifada.net/content/palestinians-israel-beaten-arrested-gaza-support/13774 , accessed on 26 May 2015. Electronic Intifada, Local, regional solidarity with hunger strikers grows, <http://electronicintifada.net/content/local-regional-solidarity-hunger-strikers-grows/5209 >, accessed on 26 May 2015. The Jerusalem Post, Israel politics: Platforms for the politically perplexed, < http://www.jpost.com/Israel-Elections/Platforms-for-the-politically-perplexed-392386>, accessed on 26 May 2015. Ben Fisher, The Israeli Elections: Seeds of Spring?, <http://www.pij.org/details.php?blog=1&id=338>, accessed on 26 May 2015.